When you got your iPhone, the first thing you probably did was set a passcode. This was probably to protect your data from unauthorized access by other people. What if you are thinking of reselling your iPhone? What if you want to give away your old iPhone to your kid and get a new one? What if you are afraid you might end up forgetting the iPhone passcode since you have other passwords you need to keep track of? The only option you have in any of these situations is to turn off your iPhone passcode. In this article, we will focus on showing you how to turn off passcode on iPhone. Maybe you want to turn off password iPhone but you already forgot the passcode. This means that you cannot remove the screen lock. Don’t worry, we will show you how to turn off password on iPhone even if you cannot remove the screen lock. Step 1: On the iPhone whose passcode you want to turn off, launch Settings. Locate Touch ID & Passcode or Face ID & Passcode, and tap on this option. Step 2: Click Turn Passcode Off. Tap Turn Off. Step 3: You will be asked for your passcode. Enter the passcode to confirm. This will deactivate the iPhone passcode. You will not need to enter the passcode to unlock your screen anymore. Maybe your busy day to day life and having numerous passwords you have to keep track of has already caused you to forget your iPhone passcode. You probably are staring on your locked iPhone screen wondering how to turn off the annoying passcode. The good thing is that with a simple-to-use third-party tool known as iMyFone LockWiper, you can unlock your iPhone without passcode. iMyFone LockWiper was designed to work with all iOS devices. This means that it will unlock your iPhone, iPad, and even iPod Touch. Instantly turn off passcode on iPhone with any passcode, including Apple ID passcode. The advanced way to unlock iCloud without knowing password. Every lock type can be removed, Face ID, Touch ID, 4 or 6 digit passcode, etc. Also be helpful when your iPhone screen is unresponsive, or iPhone is stuck at white/black screen, recovery mode, etc. Right now, you are probably wondering how to turn off iPhone passcode if you cannot remember it using iMyFone LockWiper. The steps we have outlined below should help you do this. 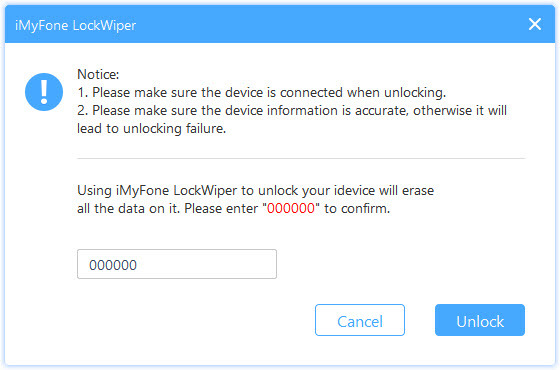 Make sure that you have already gotten yourself iMyFone LockWiper and installed it on your computer before you begin the steps below. Step 1: Launch LockWiper on your computer and click Start. Connect the iPhone that requires unlocking to the PC using a USB cable. 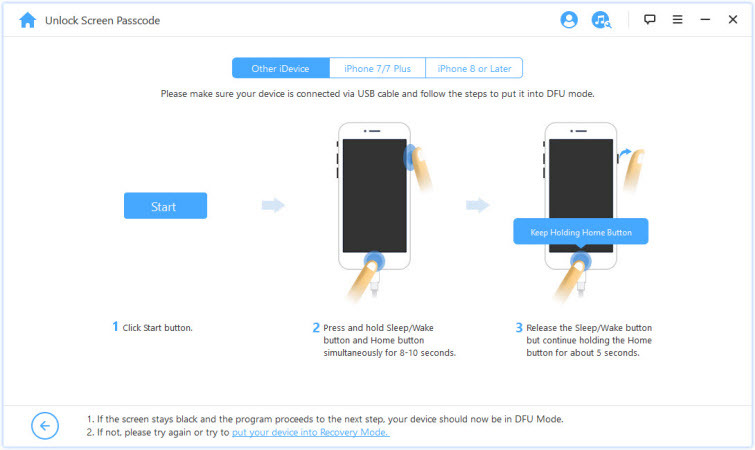 Step 2: Once connected to the PC, put your iPhone into DFU mode. To put the device in the DFU mode, select the device on the top bar and follow the onscreen instructions. Step 3: On the next screen, make sure that the auto-detected device is correct. If it is not correct, select the correct one manually. Tap Download to download the iPhone firmware. 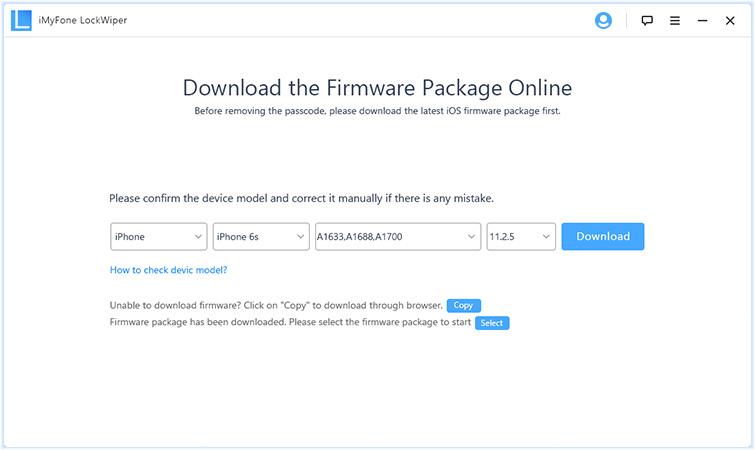 Step 4: After the firmware download, click Start to Verify. After the verification process, tap Start Unlock. 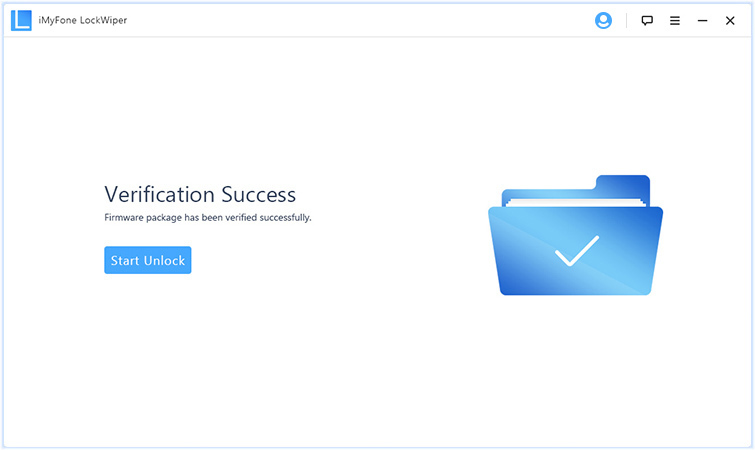 Step 5: Enter “000000” to confirm and then click Unlock. Give LockWiper a few minutes for it to unlock your iPhone without the need for a passcode. 1 In some rare occasions, when you try to access the Turn Passcode Off option, you may find that it is already disabled. If it is disabled, there are two reasons for this. The first reason is that you could have a work email account that is being managed by an exchange administrator. Check the email accounts available on your iPhone to see whether this is the reason as to why you cannot turn off the passcode. Launch Settings and tap General. Locate Restrictions and click on this option. 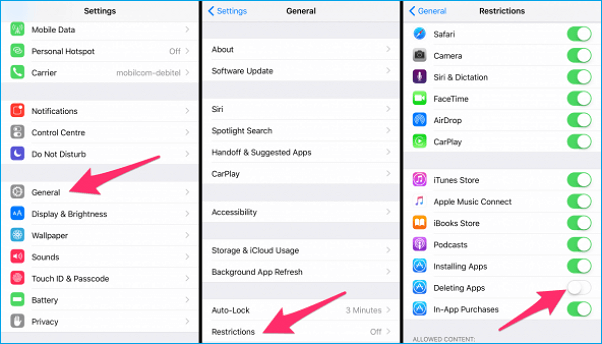 If you find any restrictions on your device, you have to disable them before you can turn off the iPhone passcode. If you need to know how to turn off passcode on iPhone, this article should help you. If you already forgot the iPhone passcode, you can still turn it off. All you need is a third-party tool known as iMyFone LockWiper. This tool allows you to unlock all iOS devices. The tool has a FREE trial version that lets you see what it can do before you can in invest in paying for the tool.